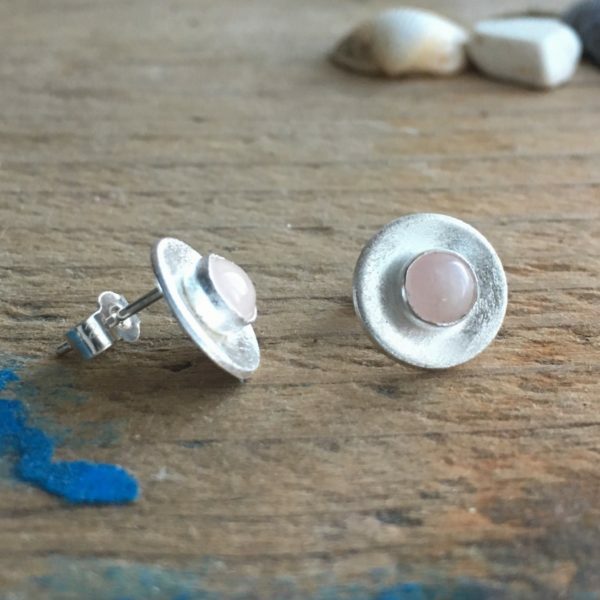 The Pink Light Stud earrings are hand made from recycled silver. 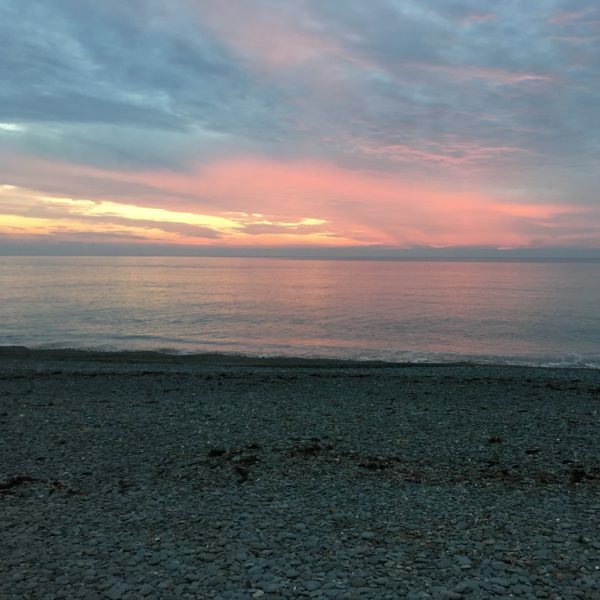 They are inspired by the beautiful pink sky of an autumnal sunset. The circles are approximately 1 cm in diameter. They are lightly concave and the background is given a frosted texture. 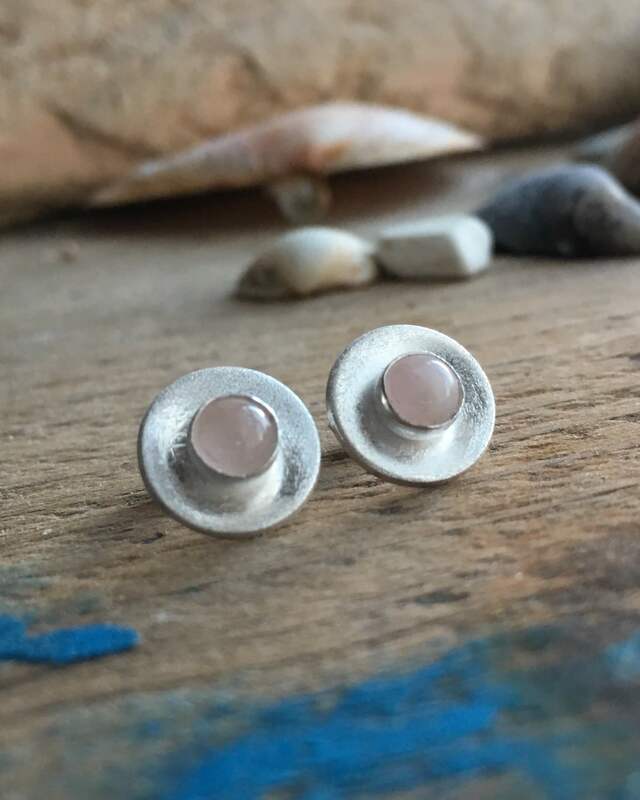 They feature delicate pink rose quartz cabochons. 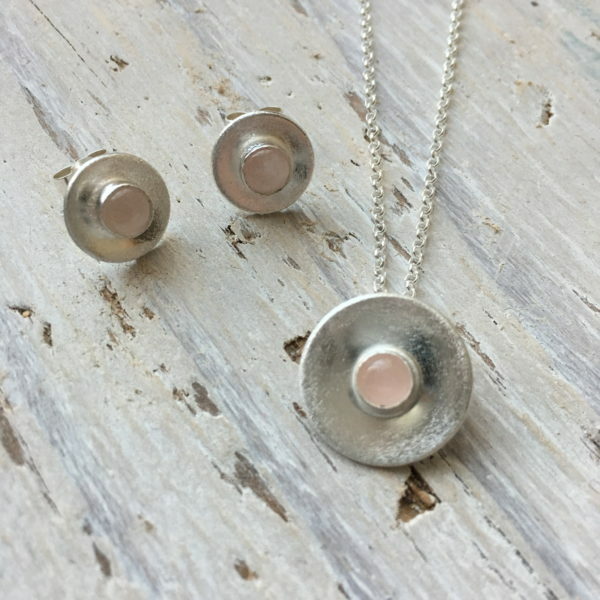 The earrings are on sterling silver posts with sterling silver scrolls. Your earrings will be delivered in a recycled box.